With talent on-board including Tom Hooper and Eddie Redmayne and a subject matter that screams awards glory, The Danish Girl has been one of the most buzzed about films of the new year. Sadly, that praise seems to have come far too early - presumably from people who have not seen the end result - as Hooper's latest project may be an elegant affair, but is one that's emotionally hollow. The Danish Girl is inspired by the relationship of artists Gerda Wegener (Alicia Vikander) and husband Einar (Eddie Redmayne). The pair's dynamic is strained as Einar struggles with his gender identity and begins to live as Lili Elbe - eventually becoming the first person to undergo gender reassignment surgery. Lucinda Coxon's screenplay is adapted from David Ebershoff's novel and takes a tremendously delicate approach to its source material. It's subsequently no surprise that The Danish Girl really fails to capture the struggle faced by those with a transgender identity - although we see the strains on the relationship between soul mates Einar and Gerda, and the failures of the medical profession to understand her - there's never an exploration of the pressure felt directly by Lili or an attempt to understand the complexities of her situation. For example, Einar's discovery of these newfound feelings comes from feeling the sensation of pretty fabrics and posing in women's clothing for his wife's artwork. It's a simple clean-cut, and strangely middle-class approach to transgender life that makes no effort to put much distance between that and transvestism. This continues throughout - even within Redmayne's performance, which feels driven by light mannerisms and soft vocal delivery. Whilst Redmayne excels at portraying Lili's femininity, there's no real emotional connection with her struggle or story in Redmayne's performance which feels primarily physical more than anything else. Lili always just appears a curious mystery - an odd exception with no real soul or deserved complexity. Unsurprisingly, the most solidly crafted performances and characters are those that surround Lili - presumably as their confusion is easier to empathise with for a mainstream audience. Alicia Vikander is excellent as the patient and continually-understanding Gerda forced with putting her soaring career on hold for the love of her partner. Matthias Schoenaerts may be a dark horse for awards praise in his supporting turn as Einar's old school friend attempting to help Lili - despite a lack of understanding as to what she's going through. 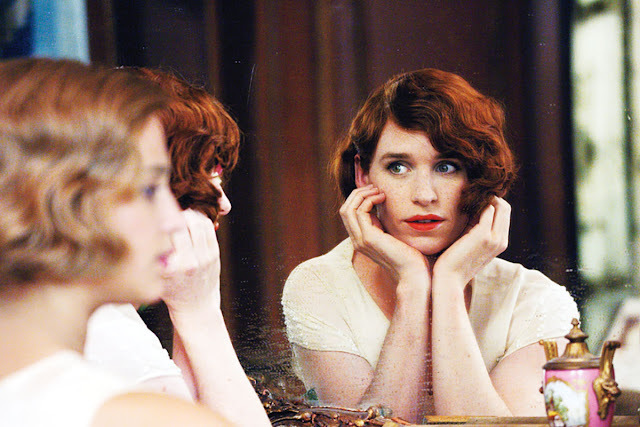 It's fortunate that what The Danish Girl lacks in emotional kick, it makes up for in its visual elegance. Cinematographer Danny Cohen captures a period beauty in coastal Copenhagen and the lavish spectacle of late 1920's Paris. Beautiful countryside visuals in the film's final moments also help cement it as an eye-catching visual piece.